Andrew Boon posted 7th of March 2016 in Boonex News. 1 comment. This week we came up with a relatively small site update, mostly catering for the introduction of the new Chat+. Some details have been added to the Features page and the Pricing page has been re-designed. Notably, the price of Premium+ subscriptions went up from $89 to $99 per month, but all existing subscribers will keep paying the old price. Another small change is in top navigation, where we combined all informational channels into one "Help" section. The idea is to present the options like documentation, forums, contacts and jobs every time when people are seeking help, so that all options are always considered. 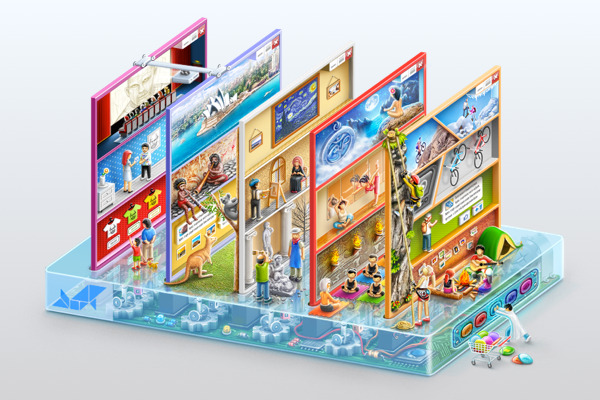 We have also started using the "platform" illustration on the homepage. We think it's a really cool piece, so hope you like it. Yes, I thought that graphic was pretty nifty when I first saw it. Took me a short time to get use to using the breadcrumb menu to quickly go back to the main forum page so no big deal on the menu change.